The art of tatting as we know it has evolved over a long period of time. It can be traced back in its history to Knotting and Macrame, which is acknowledged as the earliest lace. Knotted fringes have been found in the Tombs of Upper Egypt. The development of Tatting over the centuries is interesting to follow. From Knots developed a running knot that could be pulled into a ring and with a space of thread a series of rings were made. 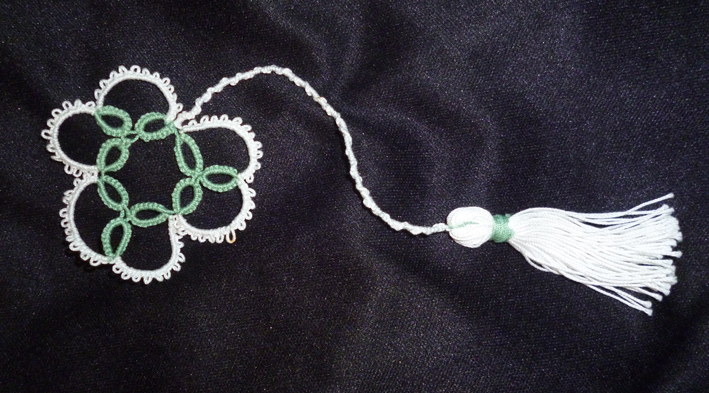 In the 16th century, the Tatting Shuttle was developed which made working much easier. Shuttles were much larger than the ones we know today. This was to accommodate the much thicker threads then in use. Gold thread was used to make Tatted Braid for garments. 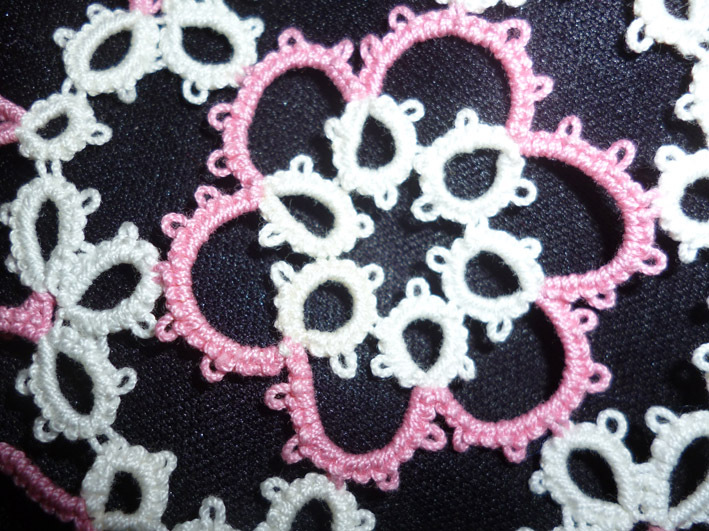 The next stage was the arrival of the Picot, which added to the appearance of the lace. However, it was a long time before the Picots were used to join rings and motifs. Prior to this stage the Picots were joined where necessary by needle and thread. The first published article in 1851 on how to join Picots with a crochet hook greatly speeded up the work.. 1864 saw the arrival of the second shuttle or Ball Thread, which was used for working a chain. This was attributed to Eleanore Riego de Branchardiere.